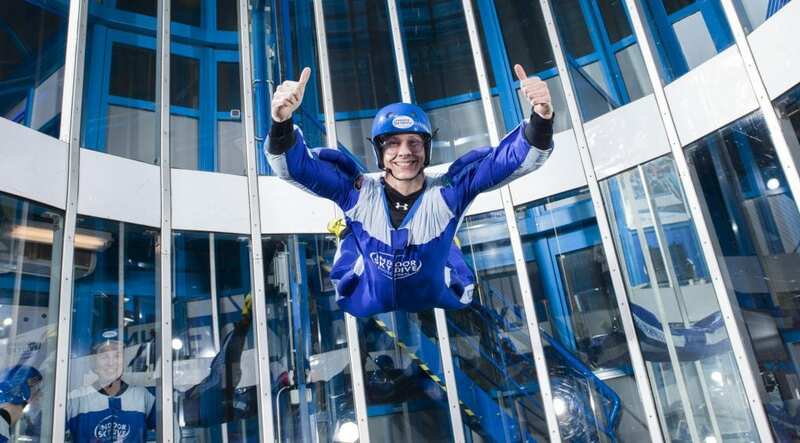 5 indoor skydive sessions for just € 75,00 per person! Share the experience with friends and family! Accomplish your certificate in 5 sessions and become indoor skydiver! Save € 25,00 per person! … now that was cool right! Your heart is pounding even after the thought and the hairs stand up right on your arm.. You have survived, that unforgettable experience of indoor skydiving! Can you believe it, you could float, purely on the power of the wind? Meanwhile with both feet on the ground? Your friends and family are spoken the ears of the head and you have let Facebook know that you can not get enough of it? We understand that it is difficult to forget about this experience, but we are well aware of that! Come back with your friends! Be honest, this was amazing right? And your friends know that as well. Because we know that all kind of experiences will be shared with others, we have a special and sharp discount especially for you and your friends. Please note: the discount expires after 3 months, so be quick! You do not want to miss this? Bookable till 3 months after visit. Maximum of 6 persons per booking. Only valid on 5 sessions indoor skydiving per person. Terms and Conditions apply.